Hello! Coming back after a short break :P Today, I'm sharing a card that is full of yummylicious watermelon pieces! I can't resist to play with this adorable images from Lawn Fawn - Happy Summer stamps set. 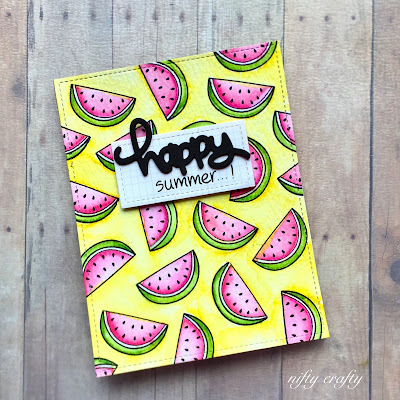 I created a stamped background using the watermelon image on to the distress watercolor cardstock. 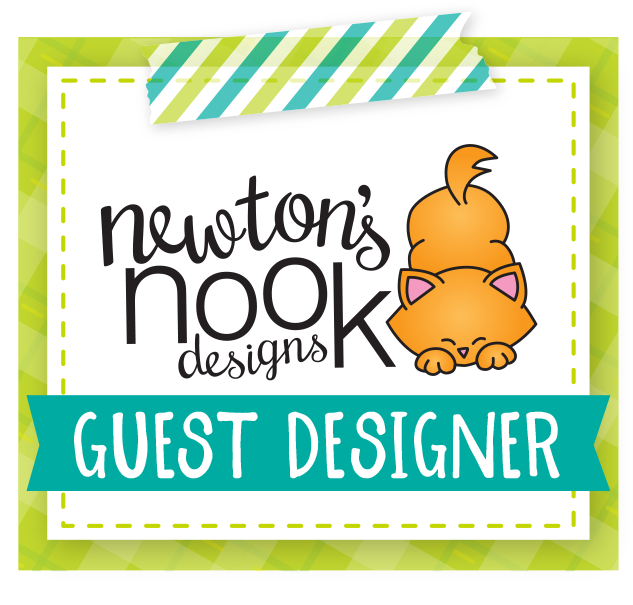 Then, die cut the card with large stitched rectangular border from Lawn Fawn. I colored the watermelon pieces and base with distress inks. Next, I die cut the Happy sentiment from Lawn Fawn and stacked few of the words to give a little dimension. The word summer from the Happy Summer stamps set and I stamped the ants image on the inside of the card. Added a piece of watermelon too! Yup, this card couldn't be any sweeter! 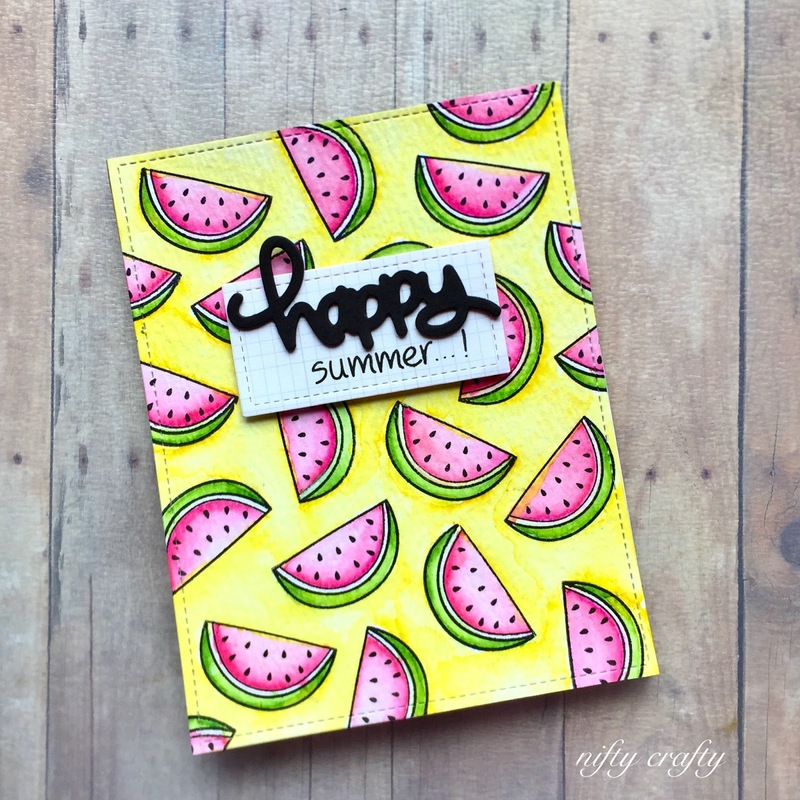 I love the yellow background with the watermelons...and the inside is adorable, too! Such a fun card, inside and out! Thanks so much for playing along with us at the Color Throwdown this week! Fabulous summer card and love the inside too.